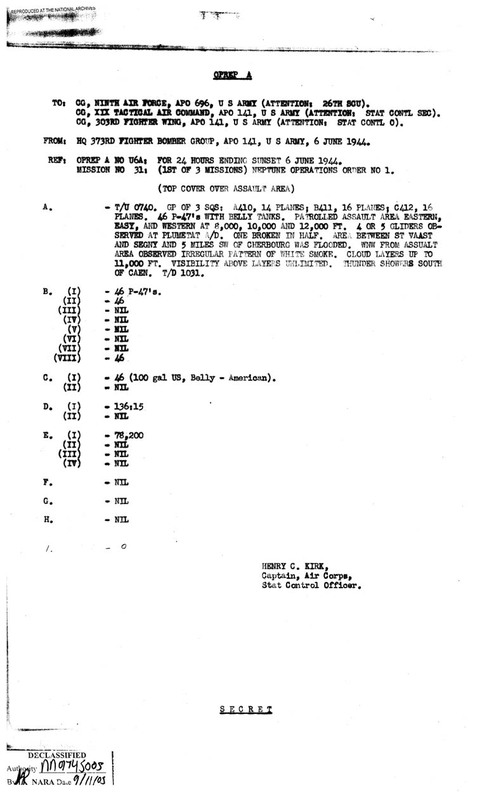 REF: OPERP A NO U6A: FOR 24 HOURS ENDING SUNSET 6 JUNE 1944. MISSION NO 31: (1ST OF 3 MISSIONS) NEPTUNE OPERATIONS ORDER NO 1. B. (I) - 46 P-47’s. C. (I) - 46 (100 gal US, Belly - American).